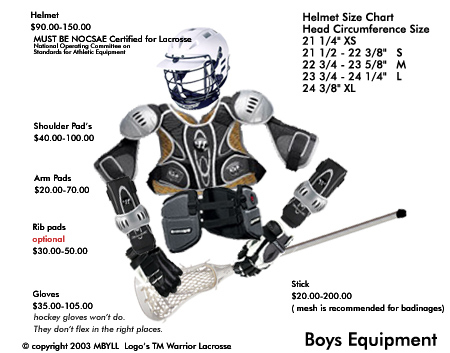 There are many places to buy lacrosse equipment. We always like to promote and patronize our local stores as they in turn support the Club in many ways. We suggest checking out Cheshire Sport Center - or- Hamden Sport Center Ask for Bob (or Dan) Bush. They have great equipment at very reasonable prices. Contact: Coach Pulisciano for a good CHS player who strings heads! !